Eliminate the need for a closet full of vitamins and herbs with "The Magic Pill." 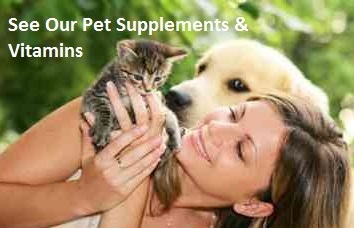 The only supplement you need to insure a long, vigorous and healthy lifestyle. Virtually everyone can benefit from the nutrient dense formula of the "The Magic Pill." Today our foods are loaded with Pesticides, Antibiotics, Hormones and other Toxins. Over time these compounds accumulate causing disease, a weak immune system and premature aging. FIGHT BACK! "The Magic Pill" Detoxifies, Rejuvenates and Cleanses the Entire Body allowing you to thrive in a correct PH environment. Clinical studies prove Its incredible effectiveness. "The Magic Pill" is your key to BALANCED OPTIMAL HEALTH! Brown Rice Bran: Helps to reverse Atherosclerosis. Alleviates constipation. Inhibits the formation of kidney stones. Reduces the incident of colon cancer and prolongs survival in colon cancer patients. Inhibits the absorption of dietary cholesterol. Wheat Grass Juice Powder: Alleviates Anemia and some types of heart disease. Lowers blood pressure in hypertension patients. Improves the health of the digestive system. Functions as a tonic for the kidneys. Prevents some cases of cancer by preventing the metabolic activation of many carcinogens. Possesses antioxidant properties due to chlorophyll content. Facilitates the detoxification of the liver. Barley Grass Juice Powder: Helps to prevent Atherosclerosis due to antioxidant actions. Protects the bodys endogenous DNA from mutations during the meiotic division phase of cell division. Accelerates the healing of Colitis by facilitating the healing of tissue in the colon and reduces associates inflammation. Suppresses some types of viruses, functions as an antioxidant, lowers total serum cholesterol levels and increases stamina. In large doses alleviates Eczema. Helps to break down residues of pesticides into non-toxic compounds. Chlorella: Some studies suggest that Chlorella may be useful for lowering blood pressure in hypertension patients. Alleviates the symptoms of Ulcerative Colitis. Helps to prevent some bacterial and viral diseases due to its ability to stimulate the production of Interferons. Helps to prevent the common cold and influenza. Prolongs the survival time in cancer patients by boosting the immune response, not by directly killing cancer cells. In the same manner prolongs survival time in Leukemia patients. Decreases the pain associated with Fibromyalgia and improves the quality of life in these patients. In larger does facilitates the removal of accumulated lead and mercury from the body. Parsley Leaf Powder: Improves the function of the digestive system by increasing blood circulation to the digestive tract, thereby increasing the absorption of nutrients. Alleviates flatulence, indigestion and halitosis. Stimulates the appetite by increasing blood flow to the digestive tract. Improves the function of the kidneys and helps to prevent kidney stones. Helps to prevent age-related macular degeneration due to the lutein and zeaxanthin content. Improves the condition of and promotes the growth of hair. Helps prevent some forms of cancer (due to its Histamine content) and is also claimed to decrease the carcinogenic risks associated with the consumption of fried foods. Kale Juice Powder: Helps to prevent age-related macular degeneration due to its high content of lutein and zeaxanthin. Helps to prevent the development of cataracts and the further progression. Helps to prevent several forms of cancer due to its Sulforaphane content. Bifidobacterium Longum, Lactobacillius Casei, Lactobacillus Rhamnonsus, Lactobacillus Acidophilus: Are strains of beneficial bacteria that resides in the digestive tract. Grape Seed Extract: May retard the progression of the aging process due to the powerful antioxidant properties. *Increase the strength of the capillaries; helps to lower blood pressure; alleviates varicose veins and hemorrhoids by inhibiting the destruction of collagen in the walls of the veins; helps to prevent the mutations that underlies some forms of cancer cells; inhibits the oxidation of LDL cholesterol; helps prevent bruising; maintains the integrity of the skins collagen and elastin which helps to prevent some aspects of skin aging; protects healthy cells from the toxic effects of the excessive generation of free radicals that occur as a result of anti-cancer therapy (chemotherapy); inhibits the damage to liver cells (hepatocytes) that occurs as a result of Paracetamol overdose. Boosts immune system chemicals (cytokines) that attack cancer cells and increases the bodys resistance to viruses; functions as a very powerful antioxidant; improves athletic performance by increasing the bodys production of energy via ATP; lowers total serum cholesterol levels; increases energy and endurance levels; CoQ10 is beneficial to all systems in the human body including; cardiovascular, digestive, excretory, musculoskeletal, respiratory, sexual, and nervous and immune systems. Milk Thistle: Possesses antioxidant properties and strengthens the bodys cell membranes. It stimulates the regeneration of the kidneys and protects the kidneys from the toxic effects of many poisons. Research has shown it can be effective in the treatment of breast, ovarian, prostate and squamous cell carcinoma cancers. Milk thistle increases HDL cholesterol and accelerates the removal of LDL cholesterol by the liver. Stimulates the regeneration of the liver and also protects the liver from the toxic effect of many poisons. Lycopene: possesses powerful antioxidant properties and quenches singlet oxygen free radicals two times more effectively than beta-carotene and 100 times more effectively than vitamin E. Lycopene may help to prevent Alzheimers Disease according to epidemiological evidence that indicate that people who consume high levels of lycopene have a lower incidence of Alzheimers disease. It also improves the function of the lungs and helps to prevent exercise-induced asthma. Alpha Lipoic Acid: Retards some aspects of the aging process. Lowers blood pressure in hypertension patients. Helps prevent free radical damage to cell membranes. It stimulates the immune system, reduces inflammation and may help to prevent certain types of cancer. Lipoic acid increases muscle energy levels and aids in recovery from exercise. It also reduces insulin resistance in larger dosage and improves the bodys utilization of glucose within the muscles and increases the bodys production of ATP. Quercetin: is a type of flavonol bioflavonoid and potent antioxidant that again has many health benefits. It can protect against cardiovascular disease, stabilizes cell membranes, helps prevents cataracts, and has demonstrated significant anti tumor activity against various forms of cancer. It furthermore reduces inflammation and prevents many infections caused by viruses, lowers total serum cholesterol levels and alleviates asthma due to its anti-inflammatory properties. Dandelion Powder: purifies the blood by straining and filtering toxins and wastes from the bloodstream as it improves circulation and helps to regulate blood sugar. Bee Pollen: is under investigation for its life extension potential in humans. It is beneficial for the cardiovascular system, improves the immune system and the bodys ability to fight cancer. Athletic performance is claimed to be improved in its ability to alleviate fatigue has been observed. It helps to protect the liver from the damage caused by exposure to many toxins. Flax Seed Powder: improves digestion and can alleviate constipation as it can also alleviate disorders of the colon. May retard the progression of hair loss, strengthen the bones, teeth and nails and improve the health of the skin. Flax seeds inhibit the development of some forms of cancer. Helps stabilize blood sugar levels and in large doses can lower total serum cholesterol levels. Lecithin: is a commercially produced combination of Phospholipids and fatty acids usually extracted from soybeans. It reduces some of the observed deficiencies in the lung tissue that are caused by tobacco smoking. In larger doses it can benefit the cardiovascular system by lowering total cholesterol, lowering triglycerides, lowering LDL cholesterol and increasing HDL cholesterol. Green Tea: Retards the aging process in the skin due to the EGCG content. Improves the cardiovascular system and helps prevent abnormal blood clotting, can lower blood pressure in hypertension patients and helps to prevent strokes. It also protects the cell membranes of red blood cells from the oxidative damage caused by free radicals. Green tea enhances the function of the kidneys and promotes the production of urine. It has also been reported to help prevent and treat some forms of cancer due to the tea polyphenols and gallocatechins. The immune system can also be strengthened and the reproduction of many types of viruses could be inhibited. Possesses potent antioxidant properties up to 20 times stronger than vitamin E. Green tea enhances the function of the liver and helps to prevent liver damage. alleviates Chronic Fatigue Syndrome. Improves the function of the adrenal glands, improves memory and learning ability and may improve quality of sleep and overall ability to tolerate stress. Royal Jelly: helps stimulate the production of antibodies and suppresses gram-positive types of detrimental bacterial due to its Royalisin content. Strengthens immune system and enhances the function of the lymph nodes as it stimulates the production of lymphocytes. In large doses lowers total serum cholesterol levels and lowers total serum triglycerides.